The Poets and Writers MFA Issue is now out. And I've definitely fielded a few phone calls from former undergraduate students, asking questions about MFA Programs. Let's open the mailbag for the 2013-14 MFA season. As always, we'll rely on our collective knowledge as we move toward answers. Do check out our "Answering the Most Frequent Questions" post. Is it worth applying to brand new programs? Is it easier to get in? Is it worth it in the long run when you don't know how they will rank? 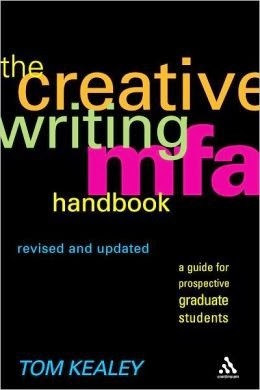 When looking at new MFA programs, should you consider current rankings of the English department or graduate school? Are there any indications that it will be a successful program? It's a good question. I'd be particularly interested in hearing which program you are looking at. I remember when Notre Dame started up, and they hit the ground running and turned into a great program. A few thoughts... Yes, I think it will be easier to get into a brand new program. Not as many applicants. Second, I think the program director and admin people should be much more available via email and phone, because they are trying to sell their new program. I would encourage you to ask for a short phone call with the program director. You will be able to tell a lot from that conversation. If I was applying again, I would definitely consider one of my 8-10 program slots for a new program. I'd appreciate others' thoughts too. I'm specifically thinking about the University of Tennessee Knoxville's program opening next fall. I know a lot about the school, but this will be the first time they offer an MFA. Hello, I am a writer who has focused mostly on creative nonfiction. Many of the MFA programs that I'm looking at only have fiction or poetry programs. Is it worth still applying to those programs? I am interested in fiction, but I just don't have much experience with it at this point. 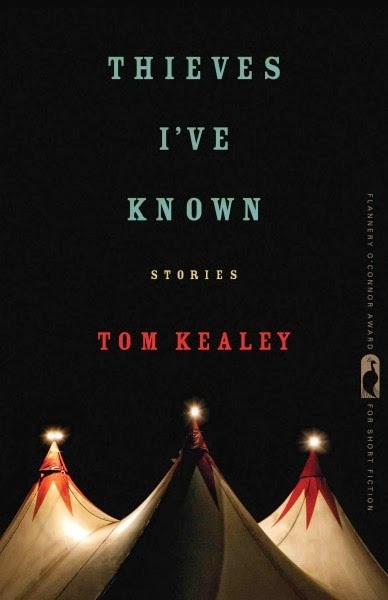 Should I call what I have fiction, or should I come up with a new piece of fiction writing for my sample? Many thanks! Carmzella, I suppose this is a question that comes up often, but you'll have to go with your gut in the end. My sense is: If your heart is truly in Creative Nonfiction, then there's no reason for you to try to 'crowbar' that interest into fiction. I think that sounds like the makings of a very unhappy writer. It's at the same time true that writing in different genres can be very helpful. But we're talking concentrations here. It's my sense that there are more and more Creative Nonfiction programs coming available. I'd hold out for the right on if I were you. Best wishes. I recently listened to an episode of the Book Fight podcast (one of the "Writer's Ask" episodes that dates back to April 8, 2013) where this very subject about applying to MFAs came up. During the conversation, the hosts mentioned how they once chatted with a representative (who they kept unnamed) from a university (also unnamed) that had recently launched a new MFA program. It was insinuated that the university (according to the rep) was more interested in the fact that they were going to make over $600,000 by offering 30 spots for writers, or at least a higher # of openings compared to most programs, even when the rep admitted their program wasn't in order and perhaps not the best option for anyone. Of course, take this with a grain of salt, but just thought i'd mention it since it seemed relevant to Lovely's question about new programs. I encourage you to listen to the episode to get a sense of the context. Any input on the San Jose State MFA program? I'm a mother of three and not in a place in my life to relocate. It's the program offered closest to me and it has a creative nonfiction emphasis, which is what I'd like to concentrate on. The one faculty member I emailed was very quick to respond to my questions and there are TA/GA positions for second year students. So far my impressions of it are positive but it isn't one of the more prestigious programs, so getting information is hard. Does anybody have any information on the program at National University? I am interested in studying either fiction or creative non-fiction. Any thoughts on this program would be helpful. I'm in my mid-40s and I've decided I want an MFA. As much as I want to do a full residency program, I don't want to be in classes with people who are all half my age. Could you suggest the most age and gender diverse res and low res programs? I know I'll be more motivated with a diverse group of peers...just how I am. Leslie, I'm a fan of the San Jose State MFA Program. They have a terrific faculty, including a former colleague of mine, Andrew Altschul, who is an amazing teacher and writer. They also have a very lively visiting writer series, and... students can work in multiple genres during their time there. Do check it out! Hilary, I'm afraid I don't have any similar insight into National University. I'll keep my eye out though. sjdavis, I don't know why the MFA Research site is private. I'll ask around. Come back in a few days. Queen Curmudgeon, you're correct in thinking that the average age of a low residency program will be somewhat higher than the average residency program. I don't have data about the 'most' age and gender diverse programs. But programs that I'm a fan of include Lesley, Warren Wilson, Queens University, and Bennington College. They all seem quite diverse to me. Thanks so much for keeping an eye out for me. I am so happy that I discovered this blog. My vague plan that I've come up with is this: Apply to my top 5 schools every year and hope that eventually I will get in to one of those places. Does this seem sensible to you? I don't want to go into a program half heartedly, so I feel like I should only apply to the programs I'd kill to attend. That said, if I still haven't gotten in to one of these schools in five years, I might change my tune . . .
Am I doing myself a disservice by not applying to more schools? Or would I be doing a disservice to programs I feel good but not great about by wasting their time with a non-committed applicant? I am writing from Turkey. I wanted to order your book through Amazon, but I couldn't. Apparently shipment to Turkey is a bit tricky. I tried to reach you by e-mail but to no avail. So, can you guide me how I can buy your book? Dear Ali. Thanks for your question. I'm afraid that I don't know how to order a book from Turkey. My sense is that a better expert than you or me is needed, so... I'd recommend going to your local bookstore and seeing if the manager there knows how to order a book from afar. I'm sure he/she will have experience with this. Thanks again! Lucas, Lucas, Lucas. :) Well, of course this strategy goes against my main advice, which is to apply to 8 to 12 schools. However, you bring up a good point. I think you'd literally have to have the mindset: "I'd rather go to one of these five schools or not go at all." And if you're comfortable with that mindset, then it sounds like a wise plan. I will say: yes, MFAs are populated with many, many, many students who weren't accepted the first or second application (or more!). So, keep applying! Thanks, Tom. I'll look into that. I am currently trying to figure out whether to apply to University of San Francisco, or San Francisco State University for poetry. Does anyone have thoughts on the differences between the two programs? I am concerned that there is a small, lovely program out there for poetry that I have not heard of (either in the States, or elsewhere). My list of criteria so closely resembles yours (I have read your book thoroughly) it may as well be the same; do you have any recommendations for a great small program without the reputation that puts it on the main stage? It can, but does not have to be, traditional. I am wondering if you know of any programs that will accept students who, though they have been published, do not have undergraduate degrees. I have looked online but have not seen much current information about this. Thank you! Is there anywhere that the 2014 MFA listings can be accessed publically, or must we subscribe to P&W? Queen Curmudgeon, my dos pesos: You can find virtual workshops through UCLA Extension, although they start pretty late (October), considering deadlines in December and January. If your intent is to get a letter of reference, you can build a relationship with the instructor in that time, but if your intent is to use your class work as your writing sample for the app you'll have to jam. Lit Reactor is also a great resource for virtual craft workshops. Hope this helps! It looks like the MFA Research Project is still private. Any word on this? MBA2MFA. Good idea .....if I can bring myself to do it. I used to work for UCLA Extension...yep, right there in the mother ship. It wasn't a particularly happy experience. In fact, it's where I became a curmudgeon. Not sure I can stand to pay them but yes, it's a good program and it would solve it all. Kahani, I can't think of any MFA program that accepts writers without an undergraduate degree. By it's nature, the MFA is a graduate degree, which implies that it builds upon the previous degree. Many Fellowships do not require MFA degrees, for example the Stegner Fellowship at Stanford University. Eli, I don't imagine that Poets and Writers would make that ranking public. The rankings are why that issue always sells so well. You might find someone via google who has copied them though. In my opinion, the money that a student spends for that issue is a wise investment. Alex! I received a response from Seth Abramson about your question: "Every year I have to shut down the MRP for 90 days following the publication of the P&W MFA issue. It's a contractual obligation. Applicants can, during that time, purchase the P&W MFA issue for a very reasonable price (online or in bookstores) and get nearly all the same data as is found on the MRP website, albeit with less specificity (i.e., in P&W the programs are ordered within category, in the MRP they are ordered within category with their raw data also visible)." Okay everyone, let's migrate over to the October mailbag. It's up and ready for your questions now. Hello, I am completing a mfa in children's writing, but i want to continue my studies in writing and go for a second mfa in fiction or non-fiction. Is it wise to let the schools i am applying to in december and january know that i am finishing up a first mfa. I thought this would not be a problem because 1) it shows that i can do graduate level work 2) i focused on children's writing which is so specialized. I initially thought this might even help me get into a second program because i have been spending the last two years writing. Hi, I had a question about the Columbia mfa application. It says that they are looking for an essay- "No more than 1,000 words, applicants should provide a response to a work of literature in their concentration written and published within the past ten years." I've been out of school for a while and the only kind of 'essay' I have on literature at this point is from college and that too is not published. Any suggestions? Thanks! dear Tom, I have another burning question and can't seem to find a good answer online or from anyone i know. I work on both poetry and fiction. I've spent far more time writing poetry in workshops and have had some poems published. But I'm interested in the mfa because I want to pursue a longer piece of fiction (with elements of poetry in it) which I've been developing for the past year and a half. My poetry mentor is advising me to apply for poetry where he feels I would have a stronger application but my ultimate goal is to produce this longer piece which will probably take the shape of a novel. I wish programs cut across genres but they seem clearly defined by either the fiction or the poetry track. Do you have advice on which genre I should apply for or way to approach the application if I am interested in both? The top three things I am looking for are location, funding, and teaching opportunities. I can't afford any more student loan debt so I'd prefer a program where I can teach and be fully funded. My husband isn't going to move just so I can do an MFA program someplace else, so I have to stay close to home. Any thoughts on the University of Central Florida's MFA program? Will the fact that I'm already in a Master's program for education there make any difference? I'm planning on switching over if I get in. Tom, this blog is great. It's good to know I'm not the only one whose not looking only for answers, but also for the right questions to ask. These are my questions: How important is the GRE exam in the application process? How important are references from past professors? Can published work take the place of written references? I can't think of anyone from my past that I might ask to endorse me for a TA position.